GMAT Dudes - Our students achieve the highest scores in Peru. The best GMAT Prep in LATAM. 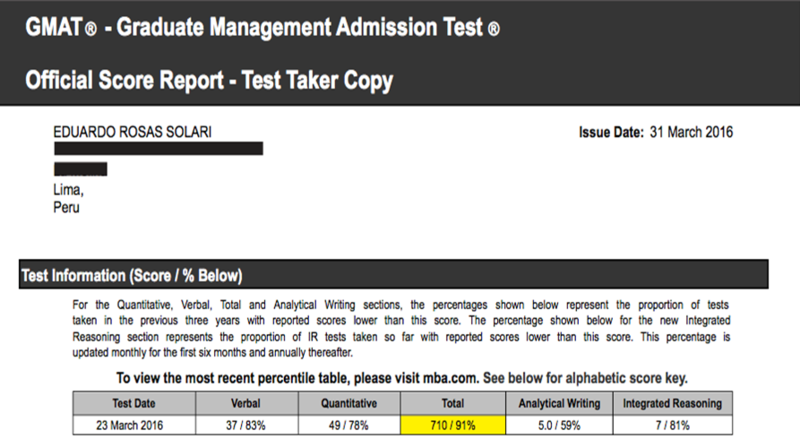 These are some of the top scores at GMAT Dudes. These scores represent our student´s effort and discipline. Most of them work full time jobs and don´t have a lot of time to prepare, but they sacrifice an average of 180 hours in order to achieve their potential. Calle Mariano Santos Mateo 182, San Isidro, Lima - Peru. Let us make the first investment in your preparation! Subscribe today for a FREE DEMO CLASS.